Exactly 25 years ago on August 30th, 1987, Capcom released the first Street Fighter into the arcade scene. While it endured many years of both success, disappointment and even failure (Street Fighter EX, Street Fighter: The Movie) however despite all of that, it’s still going stronger than ever today. Street Fighter is more than just a name of a video game, it’s a life a culture. There isn’t a gamer alive who doesn’t know what Street Fighter is or who doesn’t know who Ryu, Ken, Chun-Li or Sagat is. Just ask anyone, you’ll quickly see that Street Fighter is simply a way of life for many. So for all you lovers of Street Fighter, regardless of if you’re Old-school, New-School, Scrub status or what not, enjoy this day and keep fighting on. Regardless of what anyone thinks without you there wouldn’t be a Street Fighter and it would have likely ended many years ago. 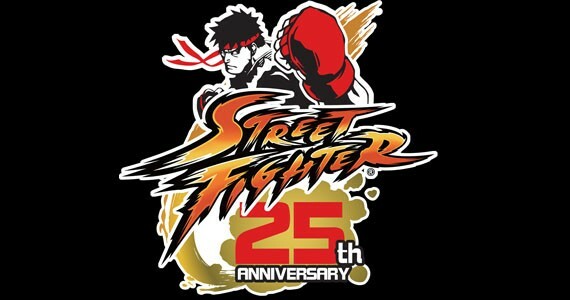 And enjoy some collections of music that was prepared for the Street Fighter 25th Anniversay, some made the cut to be officially used by Capcom and some didn’t, though all of them are completely awesome to listen to.